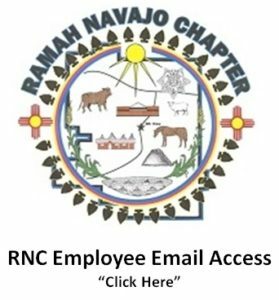 If your email is set up with Name@ramahnavajo.org you will need to select the Ramah Navajo Chapter Seal Icon to Access your Exchange Email account. Employees with Office 365 ProPlus Subscriptions can access their account here. Accounts that are setup by IT can only access Office 365 products and services. Click on the icon to access your account. Login credentials have been provided to you by an I.T. Administrator. You are accessing the Ramah Navajo Chapter information system, which includes (1) this computer, (2) this computer network, (3) all computers connected to this network and (4) all devices and storage media attached to this network or to a computer on this network. This information system is provided for Ramah Navajo Chapter-authorized use only. Unauthorized or improper use or access to this system may result in disciplinary action, up to and including termination of your employment, as well as civil or criminal penalties. You have no reasonable expectation of privacy when you use this information system; this includes any communications or data transiting, stored on, originated from or directed to this information system. At any time, and for any lawful chapter purpose, the chapter may monitor, intercept, search and seize any communication or data transiting, stored on, originated from or directed to or from this information system. The chapter may disclose or use any communication or data transiting, stored on, originated from or directed to or from this information system for any lawful chapter purpose. Understand that if you violate any of the network procedures, you may be subject to disciplinary action, up to and including termination of your employment.